Squeals and giggles! Big eyes and big grins! There are few things more exciting to a new parent or grandparent than a baby’s first Christmas. Not only will you be creating wonderful memories for your little cherub, you’ll also be starting new family traditions that will last a lifetime. There are some great gift ideas that will make you seem like a Superhero Santa. As many of these toys are available on the Internet, you can also keep your cool by beating the retail crowds while shopping from the comfort of your own home. There is an infinite world of possibilities when it comes to getting a great gift for a baby’s first Christmas. From toys that will stimulate your baby’s brain to beautiful keepsakes, the only problem with shopping for a tot is selecting just one thing. While toys are an easy win to put under a baby’s Christmas tree, there are many things a parent needs for the baby that can make a great gift. Get an idea of what they may have gotten during their baby shower, and look to fill in gaps. A discounted baby carrier, stroller, or a car seat would be ideal. The best pl ay yard for babies can be found at discount prices online and at big box specialty stores. A baby’s brain grows at an amazing rate, and they’re always learning new ways to interact with the world around them. Opting for presents that stimulate their growing brain will be appreciated not only by the parents, but the kid will love it, too. 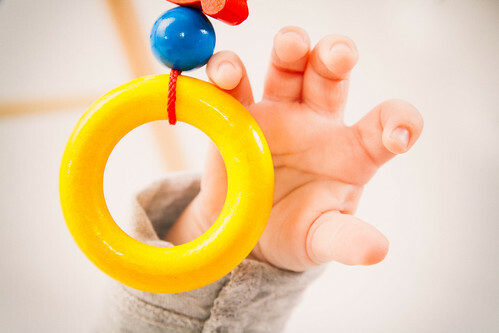 Try baby play gyms, toys that teach their ABC’s, or toys that allow a child to experience colors and shapes. 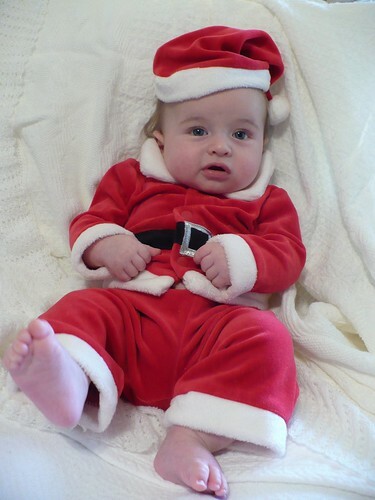 A baby’s first Christmas is an important occasion for both the child and the family. A keepsake gift can help mark that occasion and give them something they can cherish for a lifetime and even pass on to their children s omeday. Engraved ornaments, beautiful personalized rattles and family heirlooms make a lovely way to both mark the occasion and tick your favorite baby off your ever-growing Christmas list. Who doesn’t want to have the best-dressed baby on the block? While mom and dad may have been given lots of clothing, many times people buy for the 0-6 months size. Any parent will tell you that babies grow at an alarming rate, so clothing for later on are always appreciated by parents. Try purchasing sizes for 3-6 months down the line so your infant has room to grow. Once you’ve selected the direction you’re going for a gift for the kid in your life, take advantage of shopping online. Not only will you often get the best prices, but shipping, wrapping, and delivery services can go a long way to keeping you out of the Christmas crowds. Regardless of what you opt for, you’ll be telling your little one how very much you love them. Writer/cousin/niece/mommy/godmommy LaGeris Underwood Bell marvels at how fruitful her family has been recently. She urges others to follow her lead and shop for the best play yard for babies and other top-of-the-line gifts online for the best deals.